We’ve got some tips for everyone living in our community of downtown San Antonio apartments, and they have to do with every San Antonio resident’s favorite topic; ice cream. There are plenty of places in town where you can get top-notch ice cream treats, but we managed to whittle the list down to three spots that you absolutely must visit. The cool thing about living in San Antonio is that the city is filled with so many different kinds of cold treats. The confluence of cultures down here, combined with the extreme heat, has created the perfect storm of ice cream concoctions. We’re excited about the chance to share the list of them with you! Let’s dive right into the list, shall we? When you’re done reading through it, please be sure to share the link to this page with your friends and neighbors at Southtown Flats — the apartments downtown San Antonio residents choose for contemporary comfort and luxury living. San Antonio ice cream shops don’t get much more quaint than LuLu’s. The menu is filled with awesome ice cream concoctions, fruit cups, corn cups, fresh fruit sundaes, and milkshakes. The prices are entirely affordable, and the interior ambiance is that of an old-school ice cream shop with San Antonio flair. The fruit is super fresh, the ice cream variety is unbeatable and the service is friendly. Check this place out, y’all! Sometimes, an ice cream treat can be a bit more than just ice cream. That’s certainly the case at Boozy’s Creamery & Craft. This popular San Antonio ice cream shop serves ice cream infused with alcohol and ice cream with a shot poured over the top. The servings are pretty big, which is good because the prices at Boozy’s are slightly higher than the prices at the shops you’re probably used to. The interior ambiance at Boozy’s is really fun and eclectic, and the ice cream comes in mason jars. You can even get a flight of ice cream on a wood board with different alcohol poured over the top. If you’re in the mood for both a nightcap and dessert, you’ve got to check this place out. 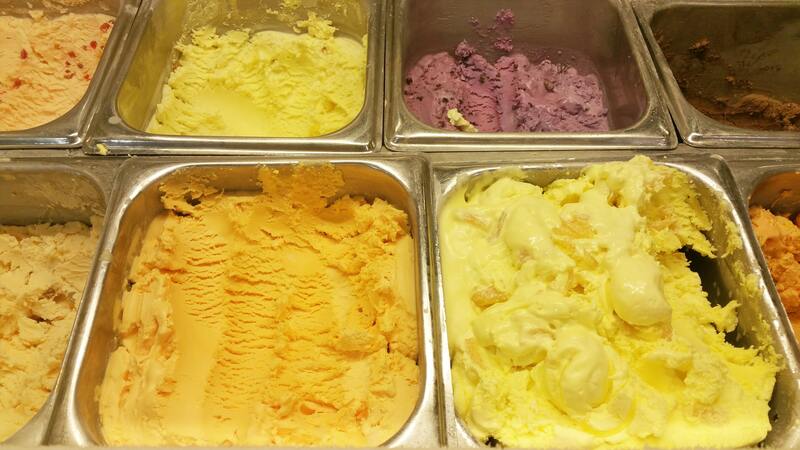 The last place on our list has some of the best flavors of any ice cream shop in town. We’re big fans of the German chocolate cake flavor, but we’ve also heard good things about the butterscotch flavor. Justin’s is a fun, casual spot with great toppings and super fresh ingredients. You’re going to want to check this place out at some point before the weather cools off. That concludes our list of the best ice cream shops in and around downtown San Antonio! We’d like to thank you for taking some time out of your day to read our latest brand new blog, and we hope that you’ll come back to read our next one when it goes live in a couple weeks! Above all else, however, we hope that you’re able to visit some of these ice cream shops next time you need to cool off with a cold treat. We’ll be back soon with another post, residents! If you enjoyed this week’s blog and you’d like to see more like it in the future, we encourage you to please bookmark our blogs page so you can easily check it again when our next post goes live on the website. Until then, you can go ahead and follow us on social media to stay informed about all the resident events, special promotions and giveaways happening at our community of apartments in downtown San Antonio.